Intelligent Systems Source is a new resource that gives you the power to compare, review and even purchase embedded computing products intelligently. To help you research SBCs, SOMs, COMs, Systems, or I/O boards, the Intelligent Systems Source website provides products articles, and whitepapers from industry leading manufacturers—and it's even connected to the leading distributors and an assortment of manufacturer representatives. Go to Intelligent Systems Source now so you can start to locate, compare, and purchase the correct product for your needs. RTC Magazine and COTS Journal are complimentary for qualified U.S. subscribers. Our magazines ship to U.S. residents. 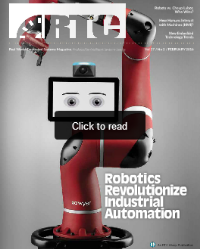 Digital editions are available for subscriber outside the U.S.
Our magazines and industry leading editors allow you to lean back and flip through the pages of one of the most recognized and respected embedded technology magazines in the world. 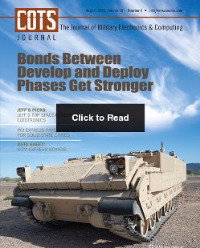 Issues are released monthly and cover the most upto date and relevant technologies in Data Acquisition, IoT, Transportation, Medical, Mil/Aero, and many other applications. Subscribers: If the Post Office alerts us that your magazine is undeliverable, we have no further obligation unless we receive a corrected address within two years. All subscriptions are subject to approval. By ordering, you agree not to resell any subscriptions purchased from this site.